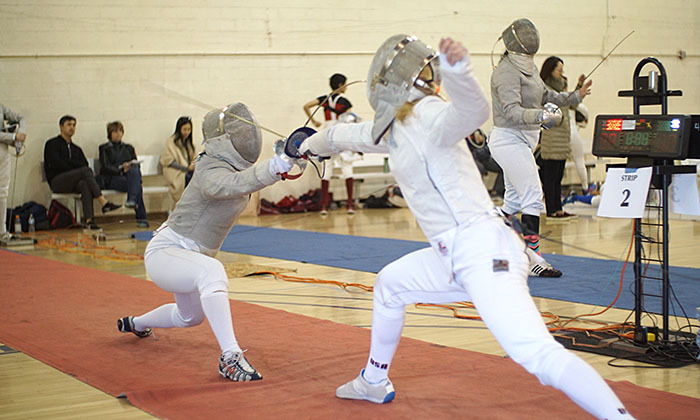 Rachel Lee (AGFC, left) blocks out Sarah Innes-Gold (UCSB) in Div II Women’s Saber. 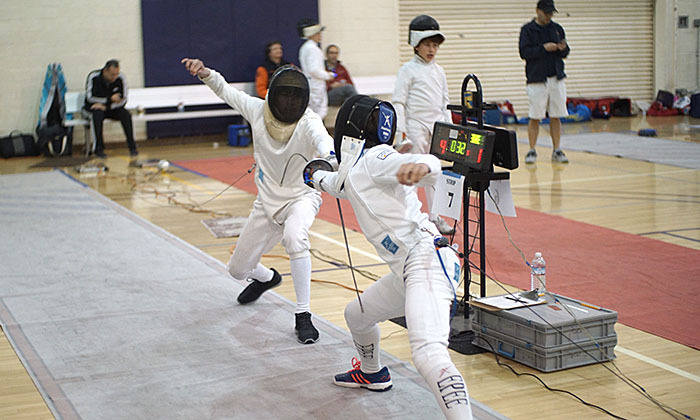 Fifty-three SoCal fencers qualified for the 2018 Summer Nationals in the qualification tournament held at Hoover High School in Glendale on Saturday, Feb. 24. 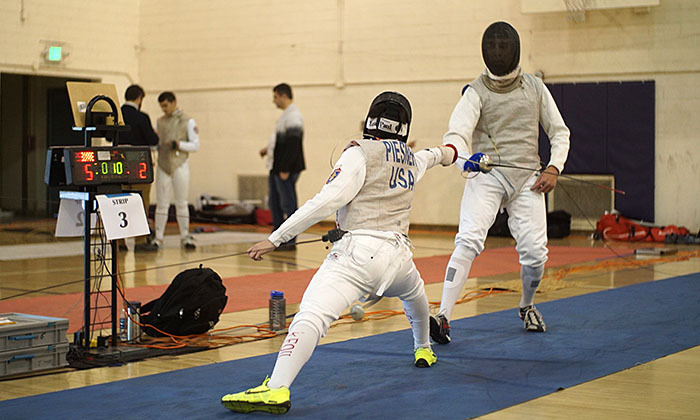 The Summer Nationals, which will crown champions in Div 1A, Div II, Div III, Y10, Y12 Y14, and Veteran events, will be held in St. Louis, MO from June 28 to July 7, 2018. For more information, see here. 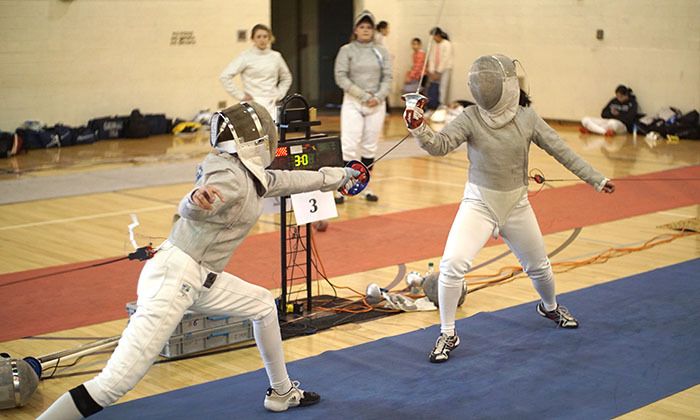 Congratulations to all our qualified fencers and good luck in St. Louis! 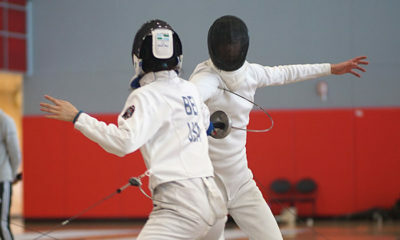 Qualified fencers are listed below. For full results, see here. 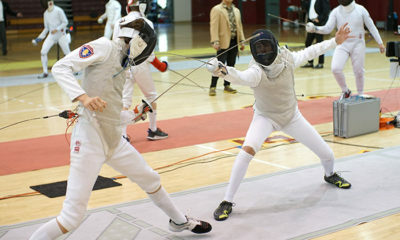 Y14 Men’s Epee: Chester Thompson (Allez, right) lands one on Holden Fees (BHFC). 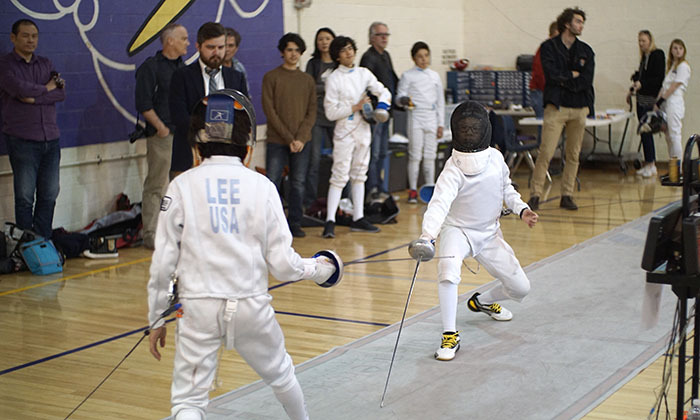 Edward Lee (Swords) takes on Stanley Zhou (LAIFC) in Y14 Men’s Epee. 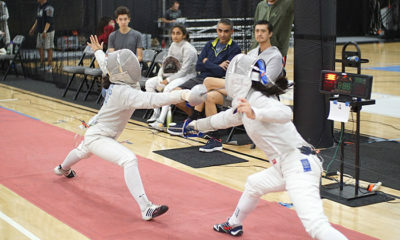 Div II Women’s Saber: Carolina Geyer (KAFF, left) scores on the wrist of Rachel Lee (AGFC) in the table of 8. 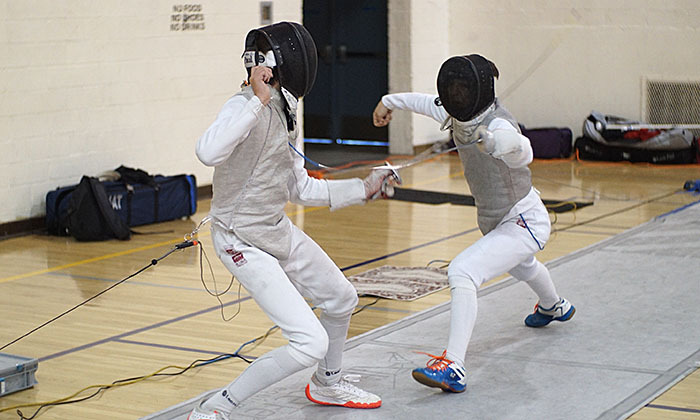 Div II Men’s Foil: Case Avron (LAIFC, right) has his blade go all wobbly as he scores a touch against Ilyas Molina (UFA) in the round of 8. 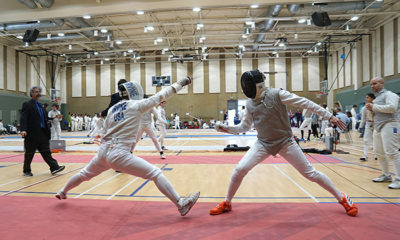 Div II Men’s Foil: Joshua Piesner (UFA) scores against Lucas Nichols (Presidio) in the round of 16.